Till now, we have used 2G, 3G and after that 4G brought up major improvements and high speed internet. But looks like we are going beyond that within a couple of years as Nokia and NTT DoCoMo have tested 5G which is the next big thing in case of internet speed at MWC 2015, Barcelona. Nokia and NTT DoCoMo have tested 5G and reached a highest speed of 2Gbps, yes you read that right. This is the possibility we have in 5G. They achieved this by using previously unused spectrum of high-frequency bands which includes millimeter waves. For just a reminder NTT DoCoMo is Japan’s largest carriers and have partnered with carriers like AT&T in the US, Tata Teleservices in India (Known as Tata Docomo) and Malaysia (U Mobile). Nokia is world’s third largest telecom equipment manufacturer and have a strong R&D record in telecom history. 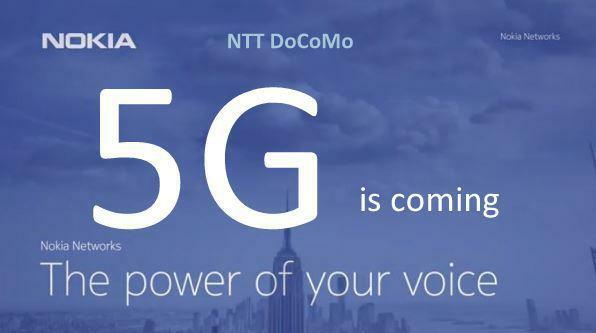 Nokia and NTT DoCoMo have announced that they will showcase the 5G at 2020 Tokyo Olympics and NTT DoCoMo Chief Technology Officer Seizo Onoe said, “We believe that high-frequency spectrum shall be used not just for small cells as a means to complement the existing network, but also for building solid area coverage through coordination with existing lower frequency bands. The success of this indoor trial with Nokia Networks using the 70GHz band marks an important step forward in our 5G vision for 2020.” Currently, 4G can deliver speeds upto 300 Mbps, but this is not possible in practical way as the speed are much lower due to many factors. However, 5G band from 10 to 100 GHz is expected to be freed for use by 2019 by International Telecommunications Union. 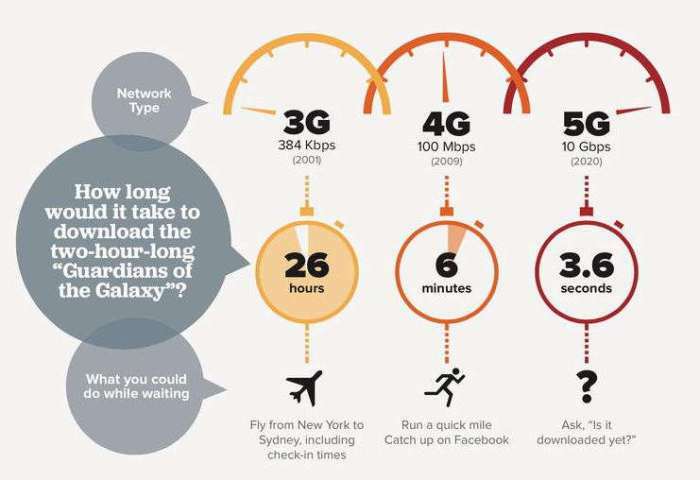 And for the readers, here’s a small example of what speed we will get in 5G. Shocked? Well, this is the reality. So, get ready to feel the ultimate speed of 5G. What network are you on? 2G, 3G or already upgraded to 4G for the fastest speed available at present? Let us know in the comments section below.